Rep. Andrew Chesney takes the oath of office delivered by Judge Mike Bald. Andrew’s wife, Kelly, held the Bible. 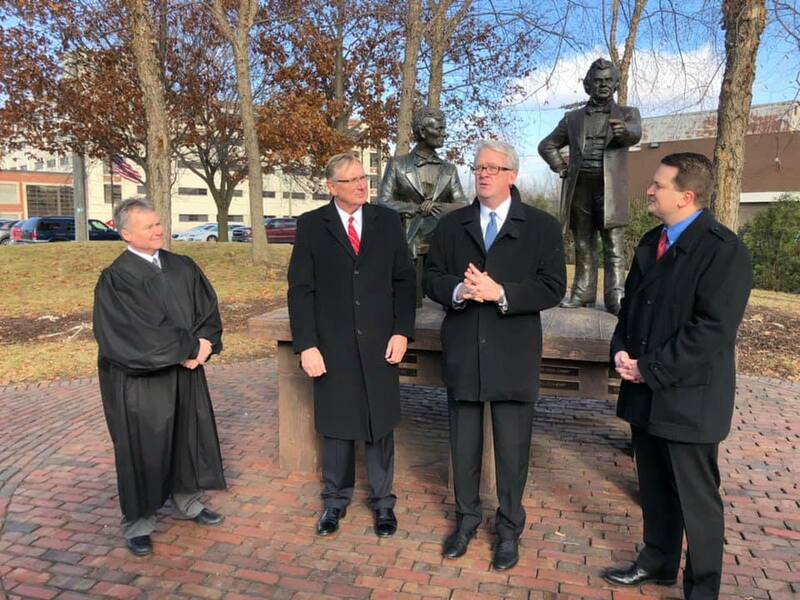 Senator Brian Stewart and Representative Andrew Chesney were sworn in Wednesday, December 5th, at the Lincoln Douglas Debate Square in Freeport, Illinois by the Honorable Michael P. Bald, Presiding Judge of Stephenson County. Illinois legislators are scheduled to return to Springfield January 7th before the 101st General Assembly is inaugurated on January 9th. Senator Stewart believes bipartisan pension reform, balanced budgets, and common sense economic growth initiatives are immediate priorities. 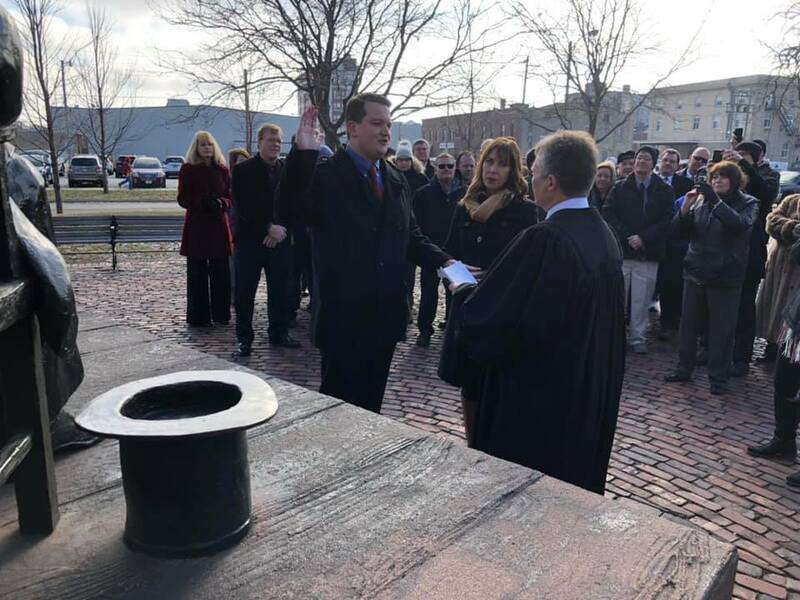 Senator Stewart will keep former Senator Tim Bivins’ offices at 629 North Galena Avenue in Dixon, Illinois and at 50 West Douglas Street Suite 1001 in Freeport. Representative Chesney will join Senator Stewart in the Freeport office.